Johannes Gutenberg’s invention of moveable type and the printing press, in the 15th Century, was the most revolutionary development (my opinion) in the history of technology, the history of communication, the history of everything. Mr. Gutenberg could never have imagined offset printing, the printing revolution of the 20th Century, so he definitely would not understand or believe the advent of the eBook, which could be a defining revolution of the 21st Century. After all the technological revolutions of my lifetime (** See “A Personal Perspective,” below), I do not understand — and can hardly believe — the sudden rise of the eBook. Nonetheless, this week I purchased my first eBook. I had associated eBooks with the development of digital book readers, starting with Amazon’s Kindle. (The price of the Kindle has dropped like a rock as competitors emerged, putting the technology within reach of even frugal folks like me.) With a Kindle or one of its imitators, you can download books, newspapers, magazines, etc., and carry them around in a small, handheld device, to be read at will. Amazon boasts that the Kindle could hold a small library of books. 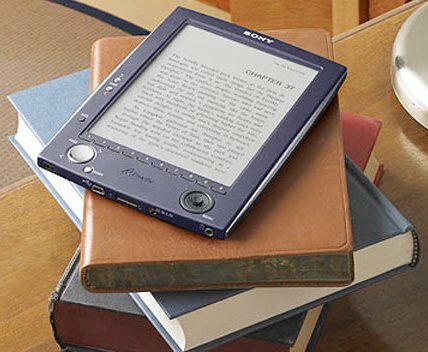 I thought the Kindle and its competitors, like Apple’s iPad, were primarily devices on which you could copy and read real, old-fashioned books, like “To Kill A Mockingbird,” or “The Grapes of Wrath.” You know, books with paper pages produced by a publishing house in New York. Books with covers, called hardbacks and paperbacks. One apparent advantage of devices like the Kindle is that you can purchase and download virtual copies of paper books, including new bestsellers, for much less than you could buy the hard copy in a bookstore. eBooks need not ever be published on paper. They don’t need to be accepted and edited by a traditional New York publisher. eBooks float in the cloud of the Internet. You can buy them from the Web sites of budding eBook publishers. You could buy an eBook and have it printed out for you on paper, but the fundamental point is to bypass paper entirely. You can buy these virtual eBooks and download them onto your Kindle, iPad, or similar device. But you don’t need a special device. eBooks can be downloaded onto any computer. You can read your eBook on the computer screen. Or if you have old eyes, like me, you can print your eBook out on your home printer. Where do you buy eBooks? How do you publish your manuscript as an eBook? A few weeks ago, I stumbled upon Smashwords, (“Discover Great Ebooks and Indie Authors and Publishers”). What is an “Indie Author?” I had to look it up. “Indie” means “Independent.” Of course. How could I have been nearly blind to the world of Indie music, Indie video, Indie books, and who knows what else? Indie book publishing is sort of the online version of what used to be called “Vanity Publishing.” Unknown authors often paid to have their books published on paper. In the brave new world of eBooks, any author can self-publish for free. Smashwords is only one of many eBook publishers. They do not suggest that authors are going to get rich quick on Smashwords. In fact, many authors sell their books for very low prices, like 99 cents, or give them away free. I think one of the larger eBook publishers may be Lulu, which claims over a million published authors, over a thousand new titles a day. Then there’s eBooks.com, which claims to be the leading online store for eBooks. And Issuu (“You Publish”), which offers both free and “pro” publishing services. There must be hundreds of online eBook publishers and sellers. I can hardly scratch the surface here. But the one I don’t want to overlook is iBooks for the iPad. You can download the iBooks app for free, natch. Apple has had huge success with its iTunes store, so I would have to guess iBooks might be a player in the new world of eBooks. Who can predict how this new industry will shake out? I think it’s safe to say that the quality of eBooks covers the spectrum from worthless to priceless, and everything in between. The number and variety of books available online is already huge, in the millions. That’s an important aspect of the eBook revolution. eBook authors and Indie publishers are tapping into what Chris Anderson has described as “The Long Tail.” Mr. Anderson’s blog is on hiatus, but it contains a wealth of information on the long-tail phenomenon. Anderson posits that the demand for variety in the marketplace is much larger than old-fashioned retail stores can handle. Even a mega-bookstore can offer only a small fraction of the world’s books for sale. All the books you can’t find in that bricks-and-mortar bookstore are in the “long tail,” and they’re available to browse and buy as eBooks on the Internet. The world of book authorship and book publishing will never be the same. 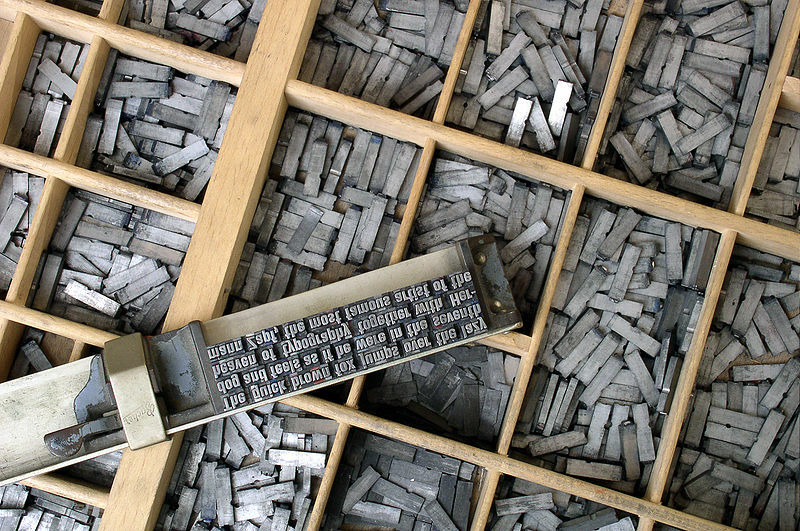 I have witnessed and participated in the transition of the newspaper industry from letterpress (hot type), to offset (cold type), to computer pagination (no type). I survived to help one newspaper transition from printing to pagination, using Quark xPress page design software, in the 1990s. And then at the turn of the century, I was a minor, unwilling accomplice in the final destruction of the printing trade, as a major daily implemented Harris pagination in the newsroom. Are you ready to write or read an eBook? Please comment below. This entry was posted in Books, History and tagged Amazon Kindle, E-book, eBook, Inventions, IPad, Postaweek2011, Printing, Publishing, Technology, Writing by Editor (Retired). Bookmark the permalink. I have an iPad, and iBooks, it also allows you or gives you (for all that money) a free Kindle.. and yet I’ve yet to read a book there. I much prefer paper and I think the writer/reader wants to ensure that paper never disappears! Is that realistic of me? I don’t know, but for now, Winnie The Pooh, my free book from Apple, sits unread on my iPad. The hardcover, mine since childhood, remains my favorite. Thanks for reading and commenting! I agree completely, Walker. Paper is easier on my eyes, and I’m sure I’ll be printing out my eBooks on my home printer, at least until I get a much better monitor. Like you, I can’t imagine that paper books will ever disappear. But I have to admit that at one time I loved my typewriter and hated my computer terminal. Now, in this 21st Century, I would not want to return to my beloved typewriter. I would not willingly give up the power of word processing or the connectivity of a computer. Some day in the future, I may find that I’ve been won over to a Kindle or something like it. I am no latter-day Luddite. Particularly, I share the sentiments expressed above in your reply to Walker. I retired from the newspaper world at 58 to concentrate on fiction writing, which was my original calling at the time I left school in 1961. Today, almost ten years later, I am the author of 25 genre novels published by what we must, I suppose, now call traditional publishers. Those publishers are belatedly realizing that they are confronted by the ebook revolution. So am I. Will my small income from writing grow or disappear entirely? To date, I have written just one “ebook original” and it has made very little money. It did well in its first month but was quickly buried by its publisher’s welter of similar material, put out at a rate of a dozen or so new titles every week. That’s not a treadmill I care to mount. “The world of book authorship and book publishing will never be the same,” you say. Very true. Thanks for your perspective, Keith. Change is usually bad, unless it turns out to be good. It looks like your westerns have found a following in New Zealand, and perhaps in the UK and US as well. Write on! I love a paper book. But the e-book can just as easily be a printed book (since we now have POD publishing), and all depends on your preference as a reader; the joyous difference is now that the author stands or falls by the quality of his work multiplied by his will to refine and present it. Google “Donna Barr,” my own personal icon in the world of self publishing that the Internet has now turbocharged. Personally, I love the library, especially small town libraries. I also enjoy the great amount of knowledge stored in the brains of librarians. The small library I like has a large room with sofas and an outdoor flower garden with a bench and winding trail through the woods around the property. You just can’t beat that! A few years ago I began listening to books on tape because fibromyalgia makes it hard to hold a book. My wrists hurt after a few minutes. Some say the Kindle is a solution to this and I want one. I wonder if libraries will start making eBooks available? I think some people, like my mom, will never read a paperless book. Not long ago I asked her if she would read something I wrote. “Put it on paper and I’ll read it,” she answered. I was out of ink that day so as I write, she hasn’t read any of my blog posts. I did write a piece that was published in a, “real,” book, and my mom couldn’t wait to buy it, which she proudly displays in her living room beside the family photos. I don’t know what she would think if I told her I finally wrote a book –that sells for 99 cents, or less. Thanks so much! Libraries, especially small-town libraries, are unique places (sometimes underused), and among the first to suffer budget cuts in hard times. Libraries are often the only public facilities offering hours of refuge for the elderly who are living alone, and for the homeless. Where else can you go and read a newspaper in peace, find out what you need to know, and check your email if you can’t afford a computer at home? Long as people are not eating, sleeping, or talking loudly, librarians are usually tolerant. Your mention of books on tape gave me an idea. Authors of eBooks could get a few more customers and provide a needed service by making their eBooks available for downloading in audio as well as text. Lots of people would probably appreciate hearing a book read aloud by the author. I miss libraries the way they used to be. Here in Arlington, everything has become about being hip and trendy, so the libraries have been re-imagined as “happenin’ places” full of events and exhibits. The last few times I was in the central library of the system, there seemed to be a steady hum of commotion; it was more like being in a fully occupied office building than a library. People don’t silence their kids any more, and there is this feeling of *bustle* throughout the place, which is not what I want to find in the library. It drives me to Amazon zShops. Just a note to say if you ever come south to North Carolina, there are still a few small town libraries. I don’t know how long they will last. The one I mentioned in my comment is gone. They recently built a new one on the campus of the local community college. I hope they were able to keep some of the character that the original library had. At least they have walking trails, along with the same employees who definitely keep things quiet :). People I know keep saying come down to NC and visit. If I ever do (and traveling is something I like less every year, meh) I’ll find a library. In Montgomery County, the large suburban libraries are extremely heavily used. I imagine that’s true for all suburbs. And many libraries now are as much about music and videos and computer access as they are about books. I know one suburban Baltimore County library where the tables and public computers turn into a virtual daycare center after school, with a stern adult monitor to keep order. One reason suburban libraries are so noisy and crowded, I think, is that they are often not neighborhood libraries, but large regional libraries. You need a car or mass transit to get to them.